Most everyone has heard of radon gas, and how it can come up from the ground and infiltrate into the basement. In the past, you had to buy canisters and leave them open in the basement for a few days and then mail them to a lab somewhere in outer Timbuktu to see if you have radon gas in your basement. Now you can buy a sensor on line that plugs into an outlet that constantly monitors the radon concentration in your basement. 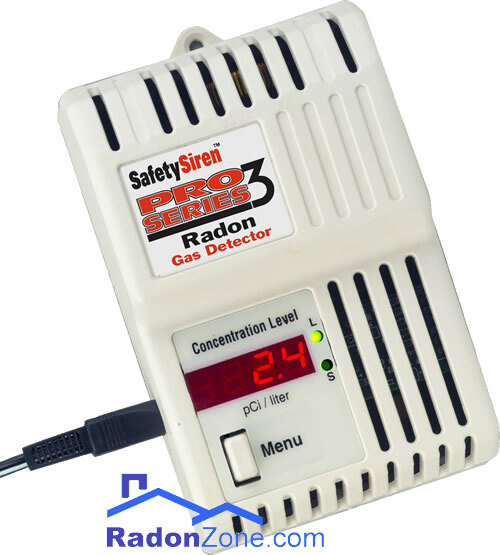 (http://www.radonzone.com/ radon-detector.html). Indoor pollution, such as radon gas and outgasing of building materials such as carpet and various glues, is a problem with new homes that are built to codes that have drastically reduced air infiltration from the outdoors. This brings me to another piece of equipment that has been around for a while. It will now be used more often in new homes to reduce indoor air pollution. It is called a Heat Recovery Unit and is attached to the home heating and cooling system. This equipment uses a double walled pipe that exhausts stale indoor air through the outer pipe that helps to condition the fresh air that is brought in from the outside through the inner pipe. In effect, the outgoing stale air moderates the temperature and humidity of the unconditioned incoming fresh air, thus saving some heating and cooling energy. For those of you with smart phones, there are now smart and wireless burglar alarms, thermostats, lighting and door locks. Say you are vacationing in California and your house sitter calls to let you know she accidentally tripped your wireless alarm system, and she is so flustered she can’t remember the special code you gave her to use while you are gone. No problem, you simply punch in your code through your phone and the alarm is silenced. You can also reset the alarm remotely if necessary. Or that same frazzled house sitter lost the key you gave her so she is locked out. No problem, you simply punch in the code to unlock the door, the door is unlocked, and since it is nighttime, you can turn on a few lights and check on the thermostat setting. (http://www.adt.com/resources/remote-home-monitoring-from-your-smartphone). One area of concern is the wireless systems can be hacked, so it is important that the software is password protected. There is a device called a home monitor that will sound an audible alarm and call up to three telephone numbers to protect your home from damage caused by temperature extremes, water leaks or power failures, including detecting a high water level in the sump pump. If you renovate your kitchen, and you have a disposal, you may want to install a plunger style air switch to turn the disposal on and off. This switch can be mounted in the counter top and can be colored to match the countertop so you don’t really even see it. It looks like a push button and is very low profile. You simply push down on the switch to turn the disposal on and off. No more worries about wet hands on the wall switch. A keyless keypad entry for the garage overhead door comes in handy if you have misplaced the key to your door. Simply punch in your code into the keypad and Viola, up goes the garage overhead door. If you are thinking about renovating your bathroom, you may want to consider installing under floor, low voltage electric floor heat to take the chill off the ceramic floor. A programmable thermostat, that will turn the heat on and off when the bathroom is in use, is used to control the floor heat. If there is a time lag when you turn on your hot water faucet before the water is actually hot, and you don’t like to wait, you can install a recirculation pump that will circulate the hot water from the hot water heater to the faucet so you will have hot water as soon as you turn on the faucet. A timer can be connected to the pump so that it only circulates the hot water at the times you will be using the faucet. All of the faucets in that bathroom will have hot water available as soon as you turn on the faucet, whether it is a sink, tub or shower faucet. For those of you who are very environmentally conscious, you may want to replace your toilet with a dual flush toilet. This toilet has two controls; one uses a very small amount of water for a #1 flush, and the other more water for a #2 flush. If you are really into green living, you may want to consider an underground or above ground cistern to capture and store rainwater from you gutters. 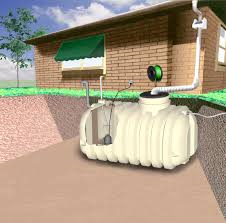 An above ground cistern will be less costly if the collected water can be disbursed via gravity from high to low areas. A typical underground cistern, connected to gutter downspouts, and holds 3,400 gallons of water, costs about $7,000. This cost would include a complete system with pump and filters. There would be some additional cost for excavation, electrical connections and gutter guards. As clean potable water becomes less available and expensive, the cost of a cistern for landscape and garden watering may make more economic sense.